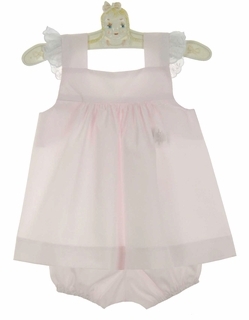 This adorable little pale pink cotton blend pinafore dress features a front yoke and an open back tied with a pink sash. 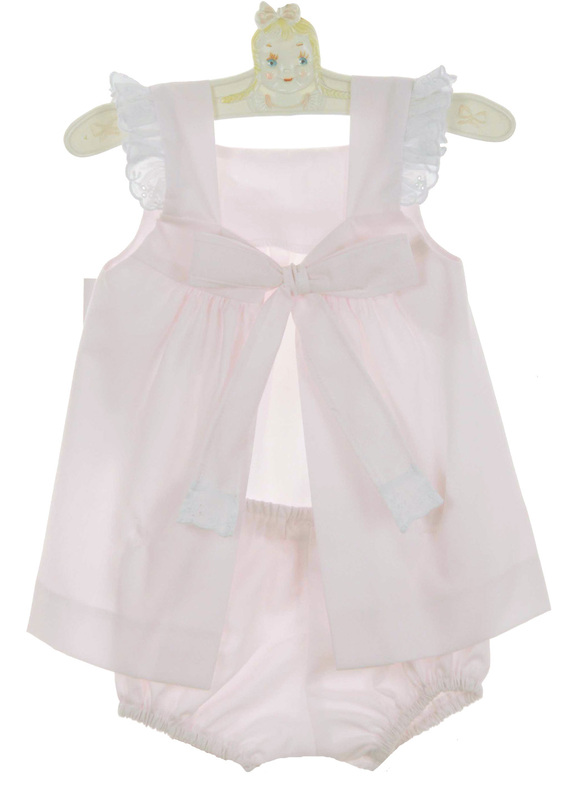 The top is finished with pinafore style embroidered eyelet shoulder ruffles. 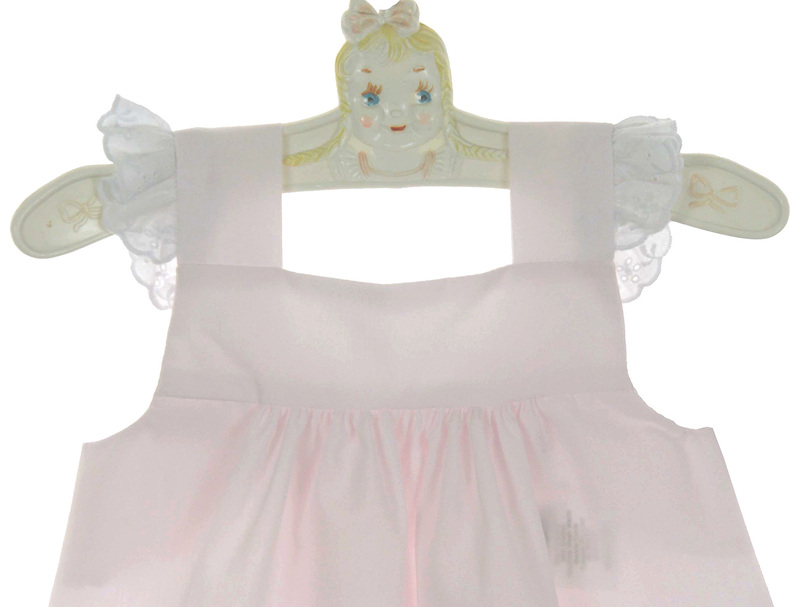 Matching pink diaper cover is included. Perfect for beach portraits or any summer occasion for your baby girl! Note: Matching bonnet is also available. See below. Note: This darling pinafore set is also available in pale blue. See below.